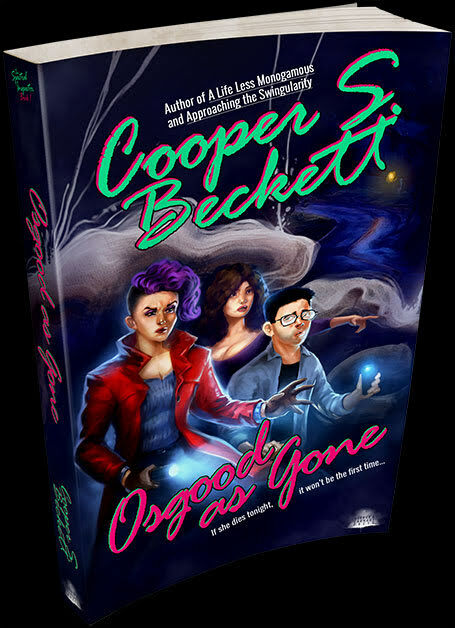 Launch Party for Osgood As Gone! Buy the book direct from me and support indie publishing! Or buy from any of these retailers! 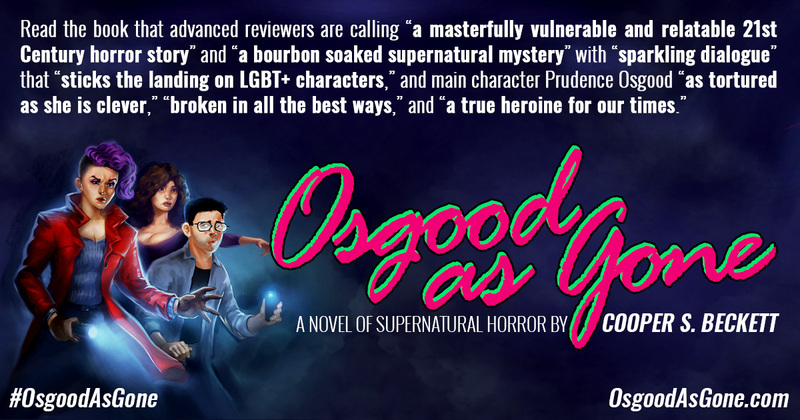 I am Prudence Osgood, The Spectral Inspector. I come from a family of liars and cheats. The Osgoods were grifters, way back. My grandfather’s father, mother. Lilian and Ernest, The Psychic Osgoods, who for two bits would bring you into their parlor and call forth your deceased family members from the margins. Your spectral relations would manifest with a shake of the table, or a flicker of the lights. If you were lucky, you'd maybe even get an ectoplasmic photograph. They didn’t believe a word of what they were saying, of course. Their fraud was a cynical cash grab. Telling people what they wanted to hear based on observation and the theater of lucky guesses. While they would’ve argued they’re bringing peace to those who came to them. And isn’t even imaginary peace, imaginary glimpses beyond this life, worth some cash? The church would certainly agree with that in private if not public. I am not a fraud. I want to prove the existence of an afterlife to bring peace to billions. 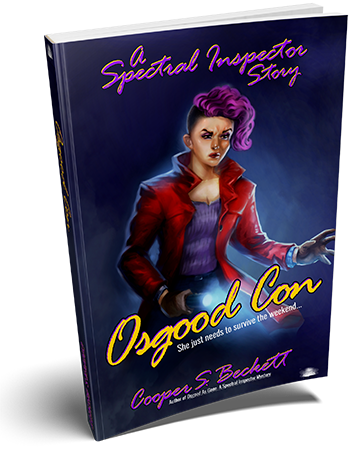 Get the Osgood as Gone short story, Osgood Con FREE just for signing up as a Specterino! It's not available anywhere else! 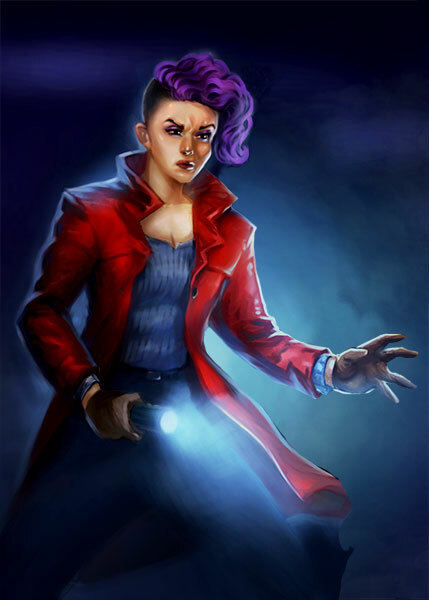 There are as many stories in The Spectral Inspector ‘verse as there are things that go bump in the night. 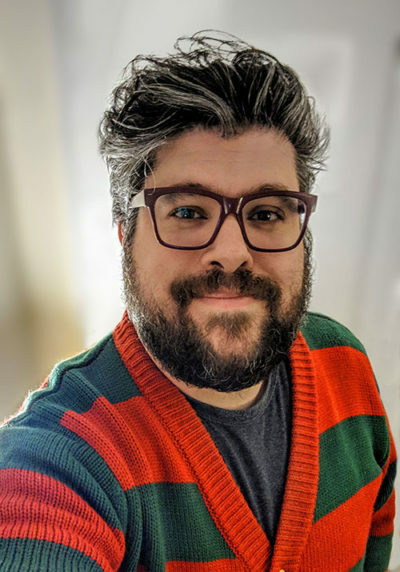 Sign up here so you don't miss a single one, including exclusive shorts, early access to novels in progress, artwork reveals, conversations with the author, and more! Become a Specterino! Get goodies and exclusive short stories FREE!